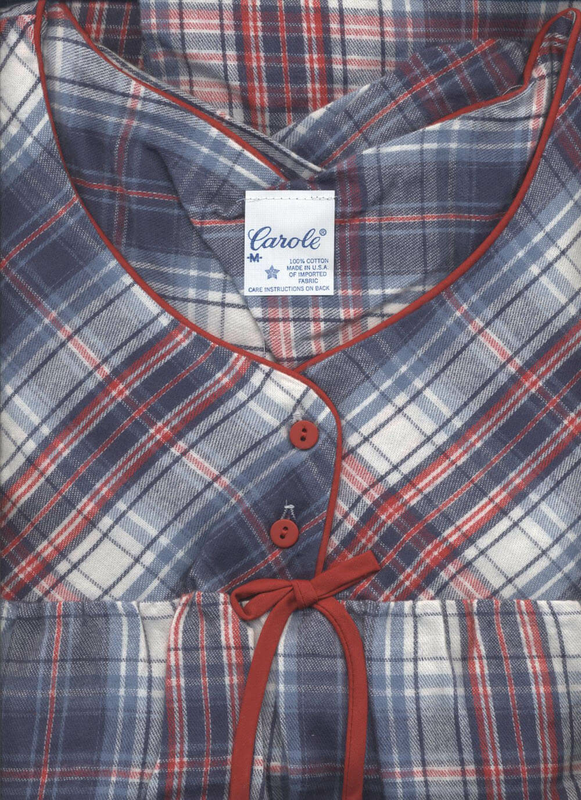 Enjoy this beautiful and soft 100% Cotton Denim Blue and Red Plaid Nightgown (5 oz. per square yard). 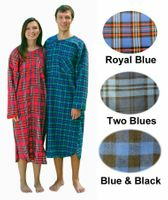 These quality Ladies Flannel Nightgowns are available in many sizes. The average weight for one nightgown in size Large is 15.5 oz. 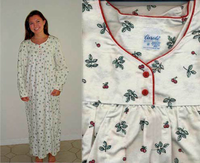 Flannel Nightgown with two front buttons and red piping on the neckline and cuffs in a long 53 inch length with long cuffed sleeves. Quality made in the USA from imported flannel in a full cut to allow for shrinkage. Machine wash and dry. MEASUREMENTS: Our Ladies Flannel nightgowns are all made in the USA by the same company and have the above measurements (before shrinkage - shrinkage would probably be 1 inch across across the bust, and 2 inches in length.